Live Bidding begins at 6 p.m.! 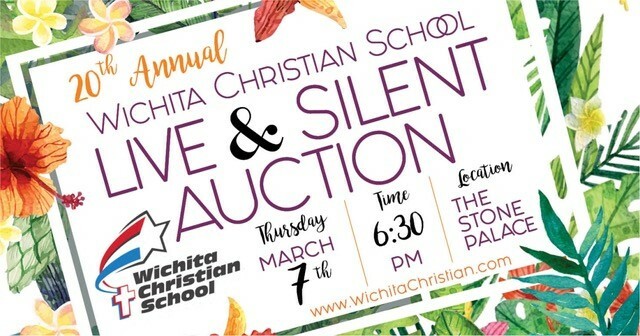 Wichita Christian School is preparing for our 20th Annual Live and Silent Auction to be held THURSDAY, MARCH 7th, 2019 at THE STONE PALACE! Over 300 people attended last year's auction that raised over $80,000 towards the WCS Annual Fund! You may purchase tickets at any Wichita Christian School office. Register to bid by texting "wcs2019 to 52182.